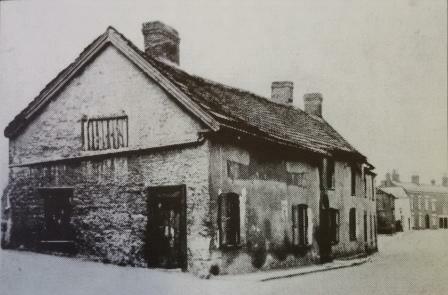 The Horseshoe Inn was located opposite the Grapes Hotel and backed onto the river. 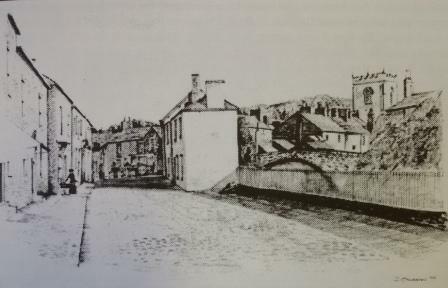 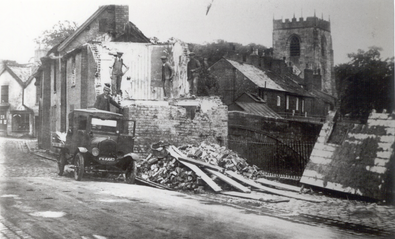 It was demolished in the 1930s to widen the road as the photo of Town Road below shows. 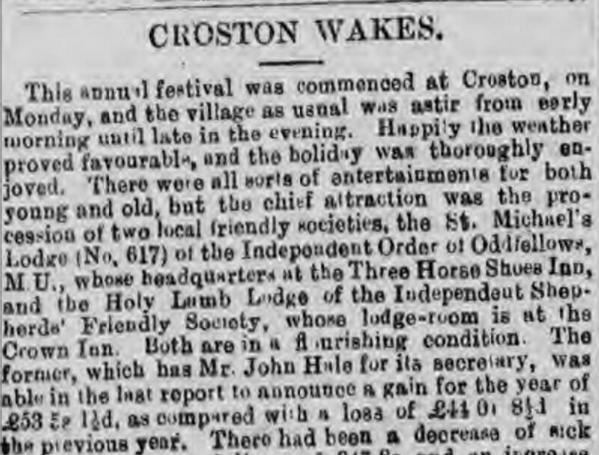 The pub had its own Freemason's club, the Oddfellows, who once a year would march behind brass bands during the Croton Wakes celebrations. 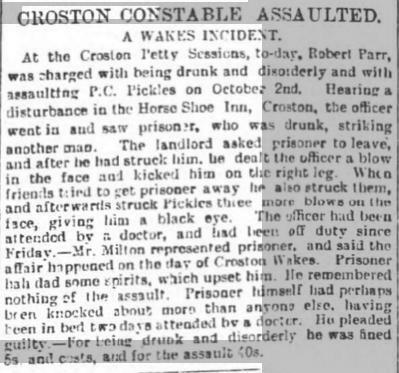 Landlords of the Horseshoe can be traced back as early as 1824 when Thos (Thomas) Farrington was behind the bar. 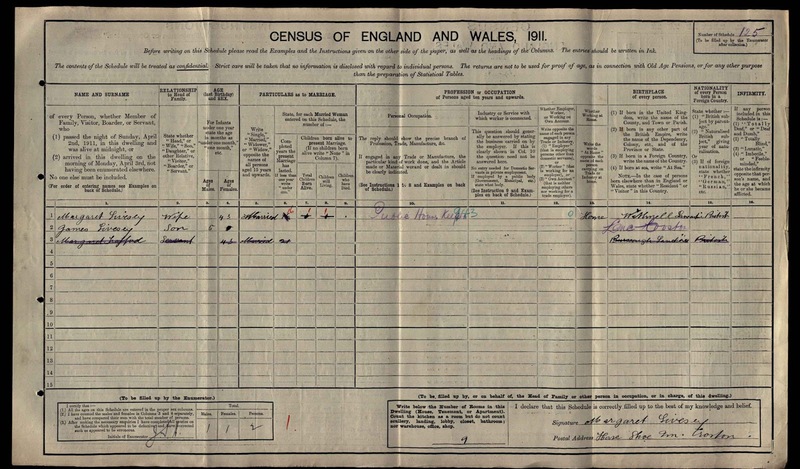 Subsequent landlords included John Moorcroft (1841), James Baybut (1849-56), Thomas Somner (1861-71), Thomas Clayton (1881), Richard Sumner (1891), Hugh Wignall (1901) and Margaret Livesey (1911). 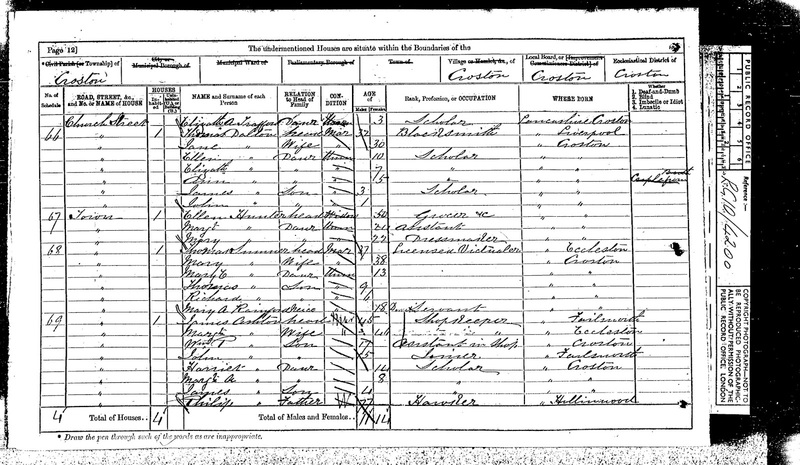 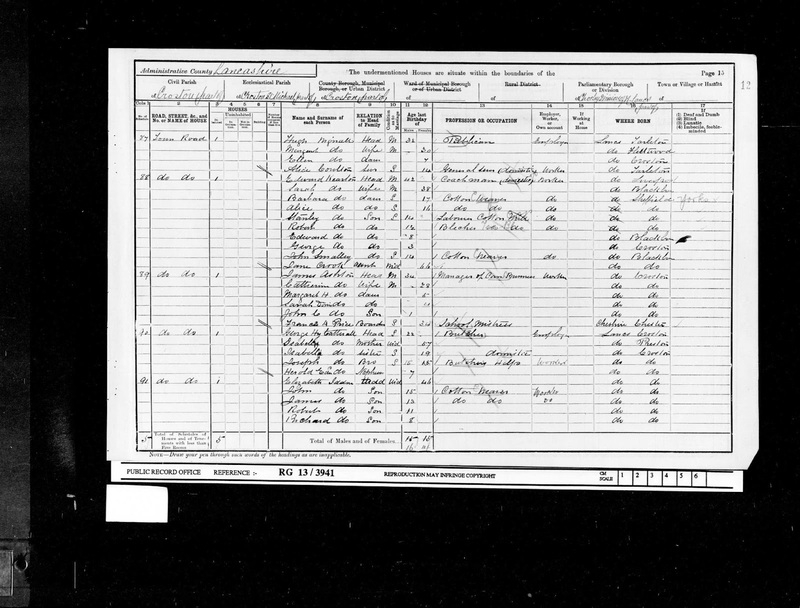 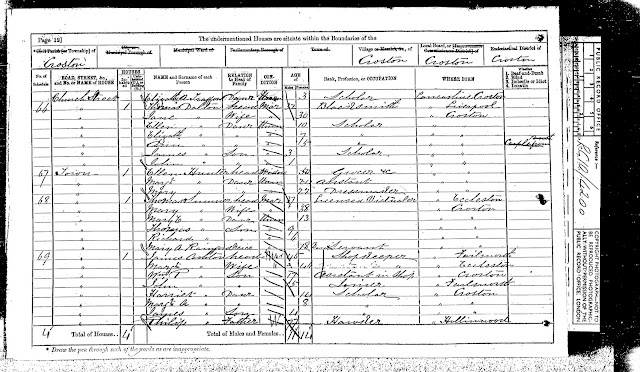 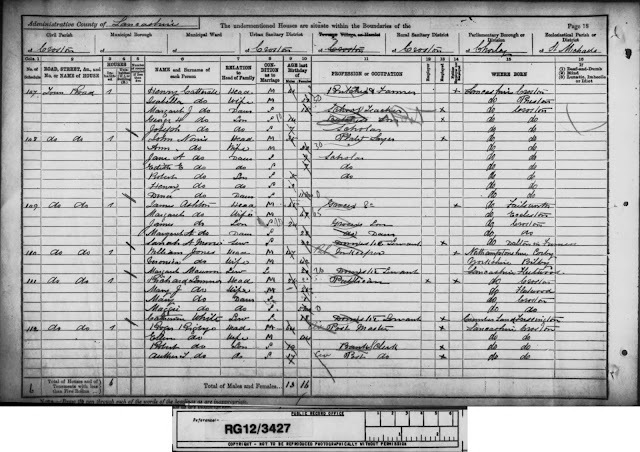 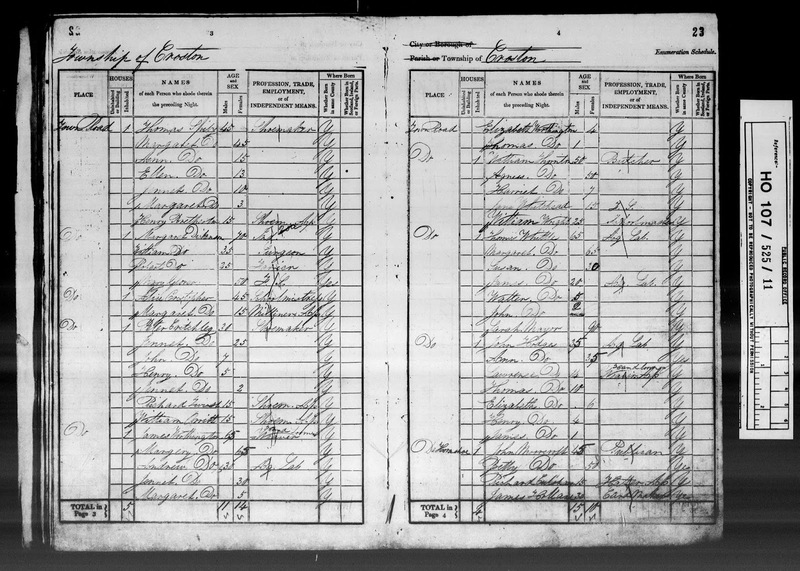 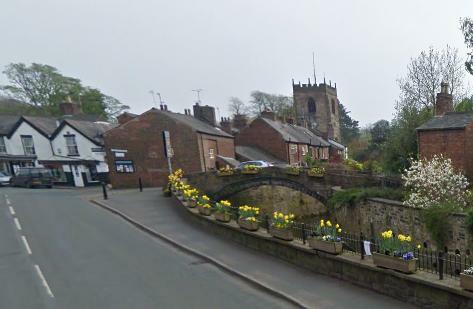 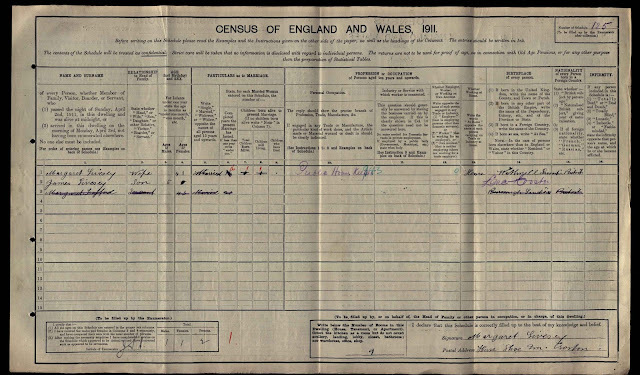 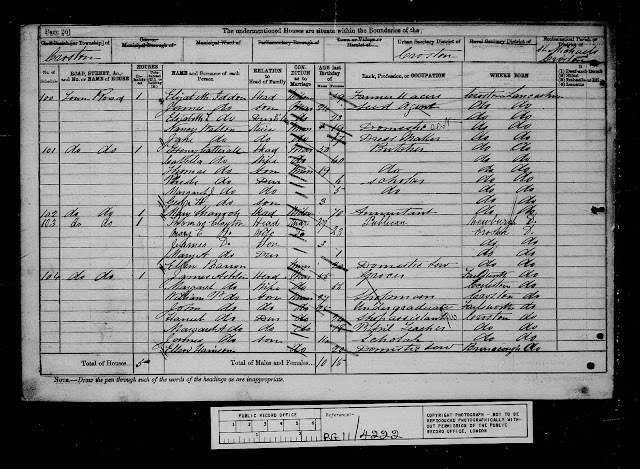 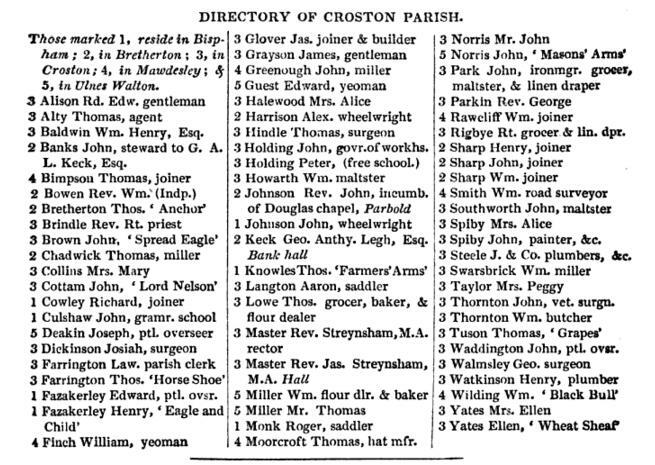 James Baybut was originally from nearby Mawdesley and was working as a Sawyer on 4 Oct 1840 when he married Alice Critchley at St Michael and All Angels in Croston. 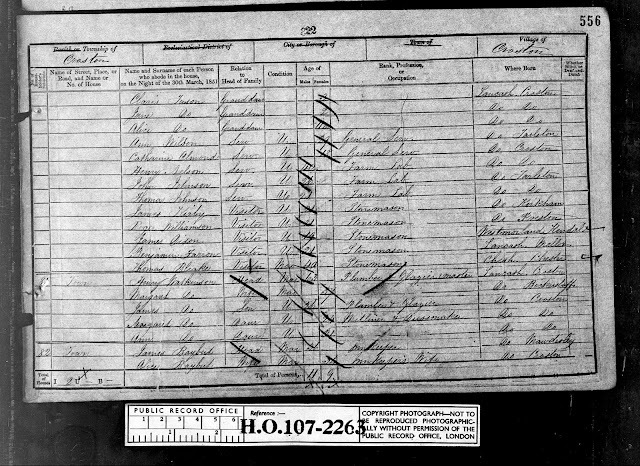 On 21 Nov 1849 their daughter Mary was baptised there and by this time James gave his occupation as Inn Keeper. It is not known when the Baybuts left the Horseshoe Inn but the last record dates from 1856 when they baptised another daughter, Alice Ann. Thomas Somner was from Euxton and was a farmer when he married Mary Banister on 31 Oct 1857 at St Michael and All Angels, Croston. 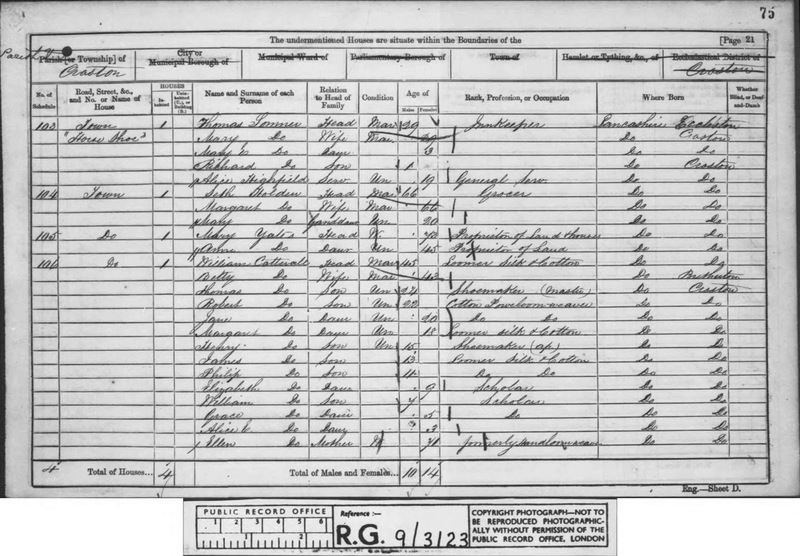 By 1861 Thomas was working as a publican at the Horseshoe and remained there until his early death at the age of juts 37 years in 1871...he is buried at St Michael and All Angels. 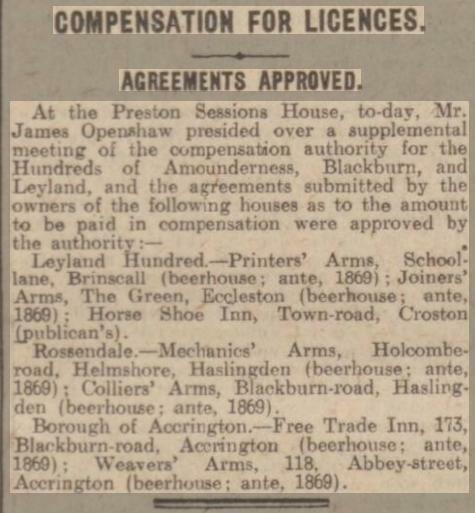 In 1885 the Preston Brewery (aka Peter Howard and Co), Croft Street, Preston listed sales particulars (original held in Lancashire Archive) that included its public houses in Preston, Kirkham, Croston, Penwortham, Walton-le-Dale and Eccleston.